Drum and Bass India™: SLAYER028 - Electric Friends - Electric Friends - Remixes [Sub Slayers] OUT NOW! A community promoting Drum n Bass genre and supporting underground DnB Indian Artists/DJs. 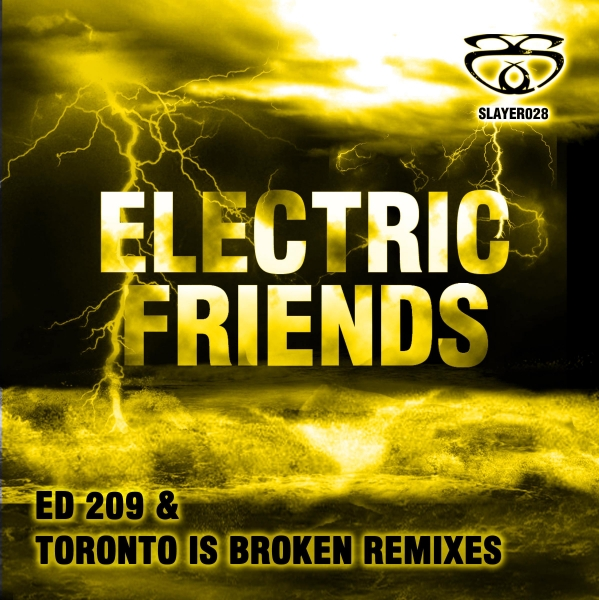 SLAYER028 - Electric Friends - Electric Friends - Remixes [Sub Slayers] OUT NOW! Fresh from being nominated Best Label in this years Bass Music Awards, Sub Slayers brings you number 28 in their continued diverse bass onslaught. Having not released for over 4 years we’re proud to present one of Ed 209’s best remixes to date - a pure hands in the air bass juggernaut and has been a firm favorite for the Sub Slayers crew for a good few months now and as this video below shows it’s been smashing up the dance all over the world! Flip over to the Toronto Is Broken remix and you get a very different picture indeed; haunting vocals, complex beats and a larger that life bassline – TiB refuses to be pigeon holed into one genre and once again delivers pure audio gold. Electric Friends remixes on Sub Slayers. © All rights reserved | Drum and Bass India™ | 2013 | www.facebook.com/DnB.in ©. Powered by Blogger.